Five people are now known to have died in Madagascar from a cyclone that made landfall in the north-east of the island on Tuesday, officials say. 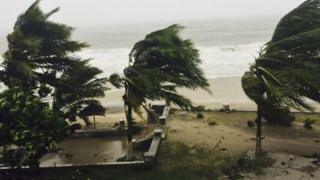 About 10,000 people have had to leave their homes because of damage from Cyclone Enawo. Power supplies are also down in some areas, according to local media. 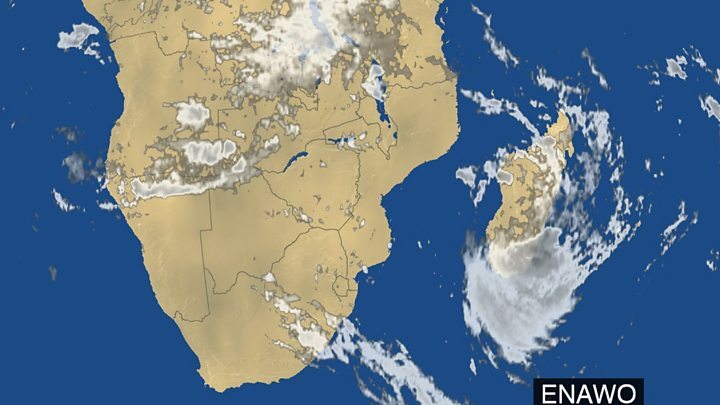 The emergency services are warning of the threat of flooding, including in the capital, Antananarivo, although the storm has now diminished in strength. Weather stations say the rain has weakened to drizzle although there are still strong winds. Parts of Antananarivo were evacuated overnight and aid agencies are providing shelter, water and other basic needs to those affected. The city's government schools have been closed as a precaution and Prime Minister Olivier Mahafaly told employers to allow workers to stay at home. Asked about emergency help for those outside the capital, Mr Mahafaly said: "We will do our best with our own resources but we will make an emergency declaration if necessary, if the damage will be significant." Enawo dumped 12 inches of rain across north-east Madagascar in 12 hours on Tuesday, with winds reaching up to 300km/h (185mph). Media captionBBC Weather's Philip Avery has the latest forecast for Cyclone Enawo.